I think that India is a country which was and still is near to nature. We Indians have always been treating Nature as our mother and revere all; whether be it rocks, mountains, rivers, trees, animals....We call our rivers too as mothers and worship them. Trees and plants are worshiped-like Tulasi (Indian Basil), Neem and so on... So its no wonder that we used to be environmental friendly in our day to day lives. There are so many instances when we used to be echo friendly. Coating our dwellings with mud and cow dung, using palm leafs for thatching, using clay pots for cooking...list goes on. But alas with the development we have lost our traditions and also our traditional way of living. In this super fast world today no one has time to follow those good old ways. The major reason for this I feel is ignorance about how eco friendly, scientific or beneficial our traditional ways were for leading a healthy environmentally friendly life, with out polluting our surroundings. But somewhere down the line we have left all our good olden way of living. But I think all is not lost yet. In India, especially for South Indians it is quite common to have Plantain, Almond and Coconut trees in their back or front yards. 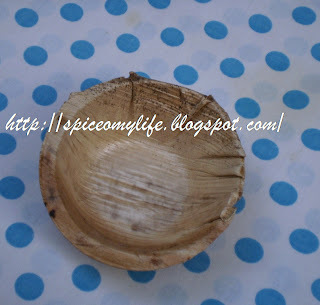 So also it is a tradition at weddings and other religious or ceremonies or gatherings to serve food on large leaves like Plantain or on plates made from leaves (Almond and Sal ) woven together or made into cups or bowls with the dried veins of the coconut leaf. 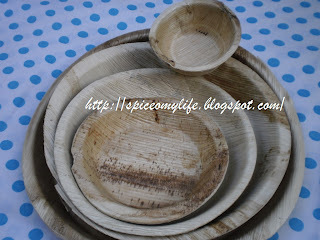 These leaves or plates made from Sal leaves have been in use for many years for serving food or snacks at roadside food stalls or small restaurants in rural and urban areas. 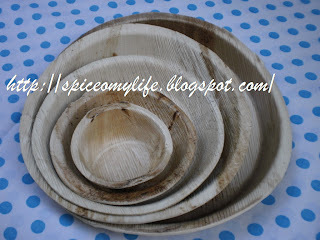 They are biodegradable, ech friendly, natural, disposable, hygienic, inexpensive. 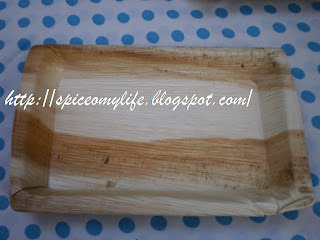 Many village women earn their living by manufacturing these plates. The ones made from Sal leaf are sold by most of the grocers in urban and rural areas. 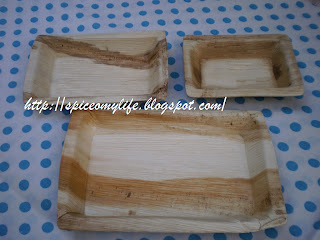 OK now here are the ones which are made from the leaves of Arica Palm (Poka chettu in Telugu ). his is a new development. At least these are being marketed for the first time in our area. I bought some just to test. 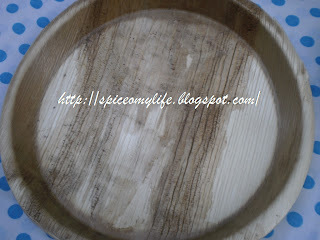 The sellers said that they can be washed and reused for 15 to 20 times. I haven't used them, but want to share them with you. 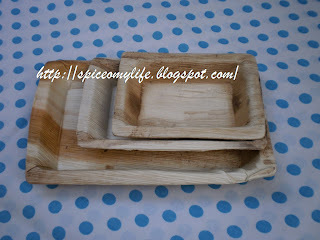 They can hold hot or cold, solids or liquids, easy to carry and dispose off. They can be used for picnics and parties. So why don't you try them and save our Earth? What do you say? I am really impressed that you are one of the few who still talk proudly about our country. Kudos to you on that!! It feels nice to see your posts talk a lot in detail about the good side of our culture and its depth and how eco friendly it is. Thank you dear...I love my country like any other country (Wo)me. But I am proud because of its ancient wisdom, which todays generation does not care to understand. very true... the fast paced today's generation is so attracted by the western madness that they fail to understand the ancient wisdom.